It has been a bit since the last post. The blog is slightly neglected but Southwind is not! We have been using pretty much every free moment to either work on Southwind or research sailboat parts, practices and of course great places to sail (helps to motivate!) This project has definitely been one of the biggest that our family has taken on but things are coming together and we will be in the water before we know it. We have great things planned for 2015! I guess it would be best to update on where we are in our refit now and what we have accomplished. Sometimes it seems like we would spend hours and hours without really getting to see the results. There now seems to be a light at the end of the tunnel. First of all, the wood rot was REALLY bad and it took a lot of time and patience to get the old torn out and replaced with new but it is done now and we couldn't be happier. After getting the cabin sides replaced we could see how desperately we needed to add in some port lights. We ordered 5 lights from Newfound Metals and with a bit of work installed all five! I think we will eventually add a couple more but for now the five we added made a huge difference! 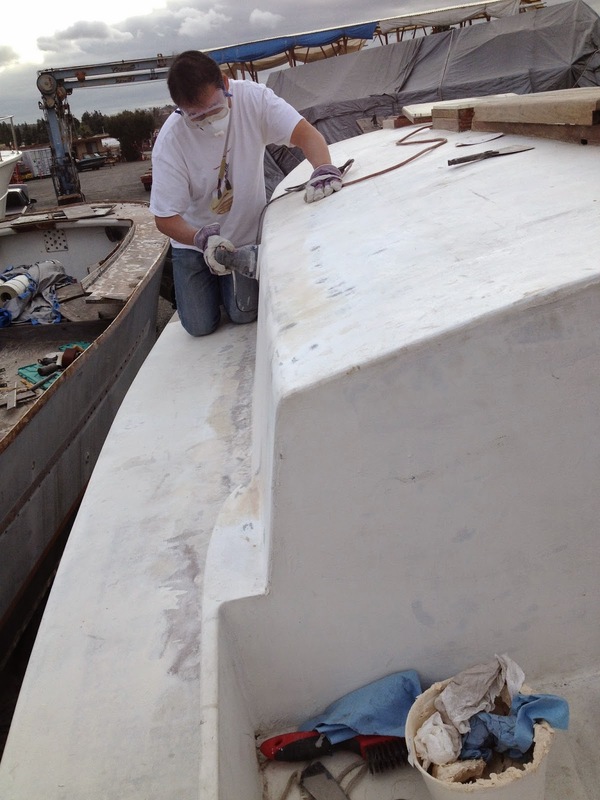 We have also replaced all of our thru hulls and have added seacocks to all openings. After a lot of research we decided to go with marelon. So out with the old bronze and in with the new. They look so fresh and clean. We removed the old head (eewww!!) 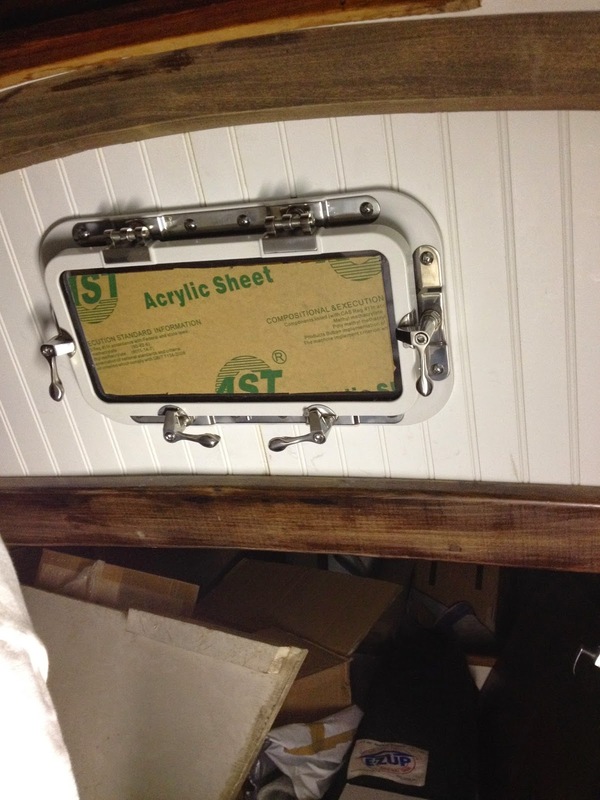 and used bilge coat to cover the floor in preparation for the manual head that we purchased. Now let's talk about the cutlass bearing, this has been a tough one for us. We were able to get the prop off but have been unable to remove the shaft to get to the cutlass bearing. This is like the ongoing project for us. 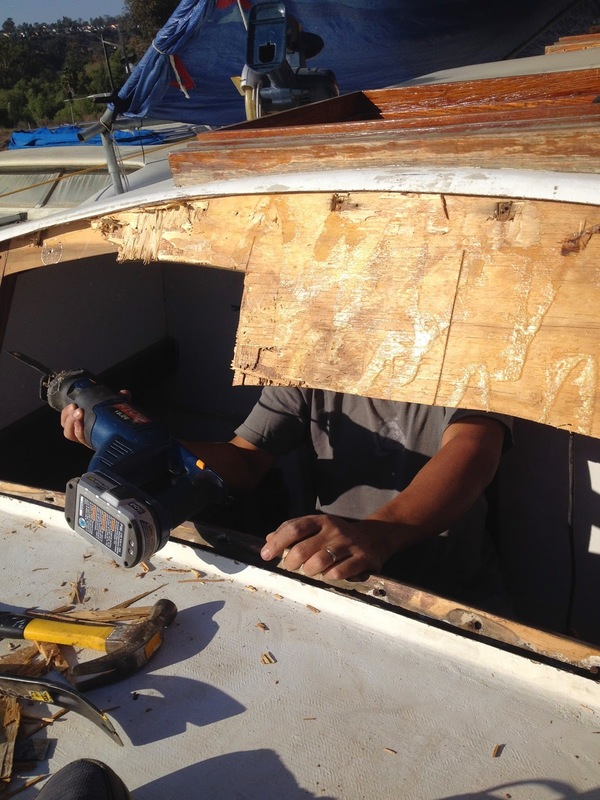 Each time we head down to the boat with new research and new ideas on how to remove the shaft and reach that pesky cutlass bearing we meet the challenge with no success and usually vote to move on with another project. Eventually we will have to figure this out and we may have to call in some help. 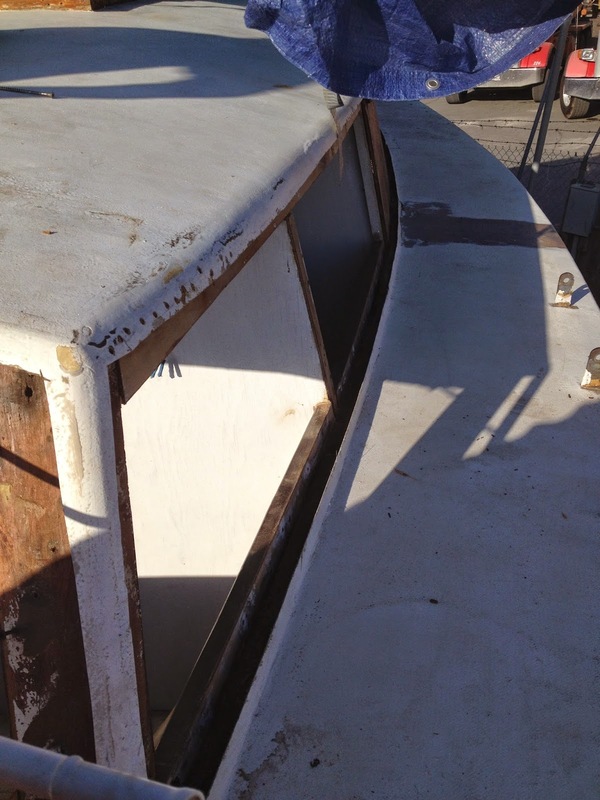 In the meantime we have repaired most all of the fiberglass and with a little fairing and some sanding we should be ready to get the cabin and deck primed and painted. The other things we have worked on includes making cushions and covers for all of the seating in the saloon (there were no cushions to be found when we bought her). Inspecting the sails, which all appear to be in really good shape, and working on making a sacrificial sailcloth for our furling genoa. 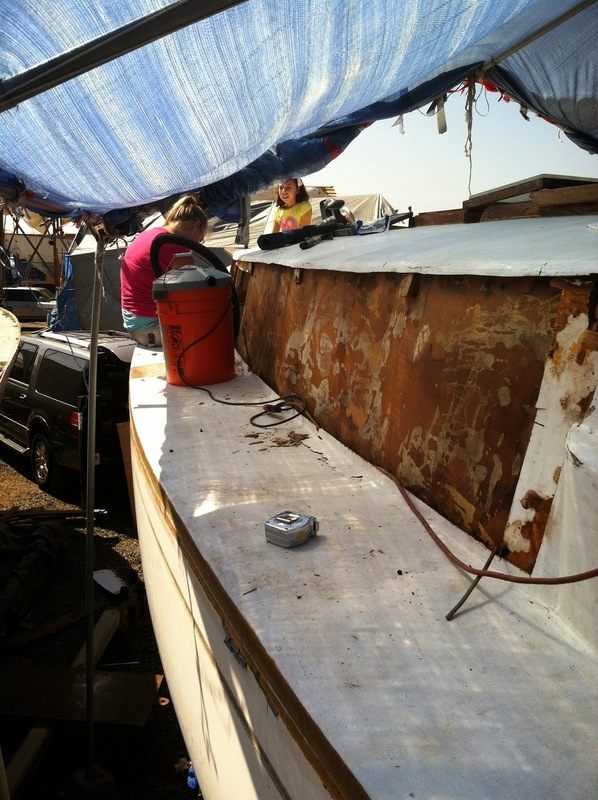 Katlyn has also been steadily working on cleaning the bilges and painting them and also getting the old diesel engine shiny again. I sit here writing this as 2014 comes to a close, reflecting on what we have accomplished this year, and I am feeling pretty lucky to be a part of this crazy family. This has been a really great year, not always easy but very rewarding. We officially added our youngest member in as we finalized Zoey's adoption, we found Southwind and made some great memories as a family as we began her refit, took an awesome visit to the East Coast to visit family and do some sight seeing and put into motion a dream of becoming a cruising family! Yes I say, farewell 2014 you were a good year... Welcome to 2015...Let's Do This! Sailing from scratch? Slight understatement. A planned work weekend for our beloved Southwind gave us some unplanned lessons. While thinking that we were ready to begin prepping for new port lights and paint we ran into unexpected discoveries, ROT! Yep, wood rot!! And not just a little. 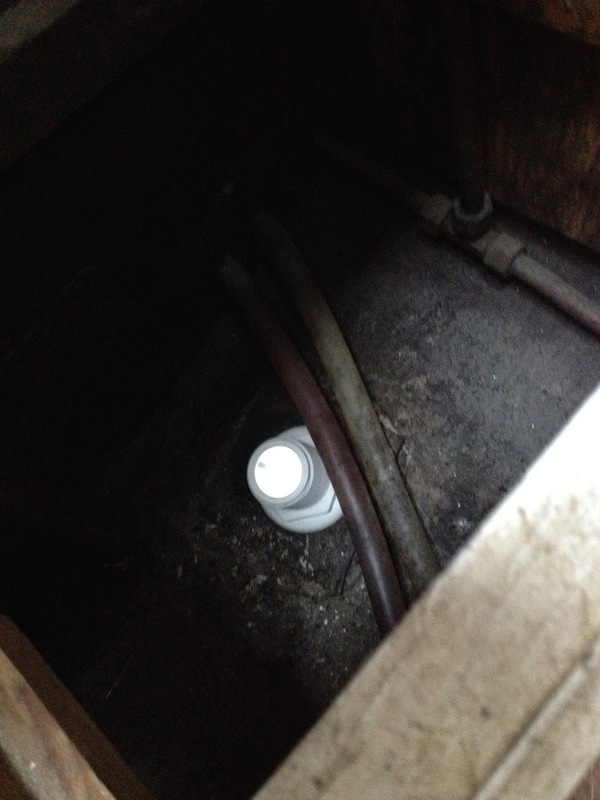 Although it is unclear the source, wood rot has become a huge issue for us. 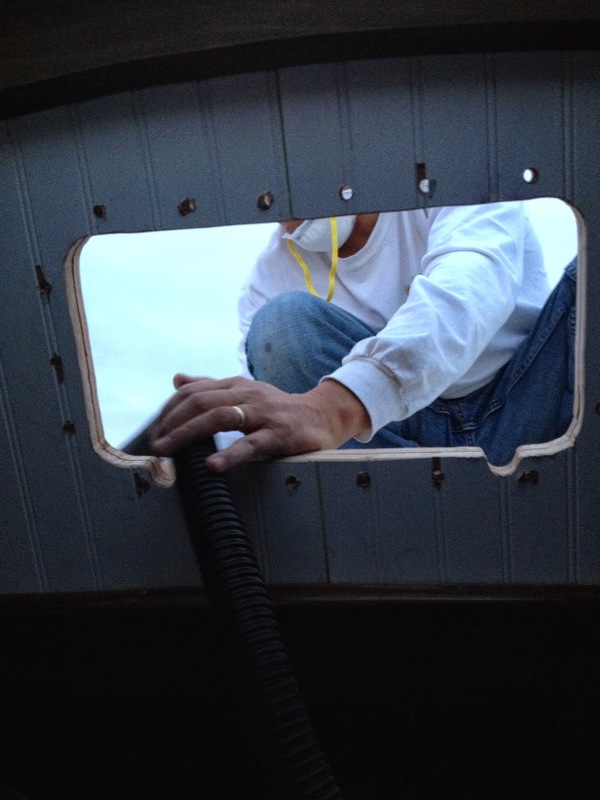 We uncovered rot along the port side of the cabin, enough to convince us that we need to replace the whole side. 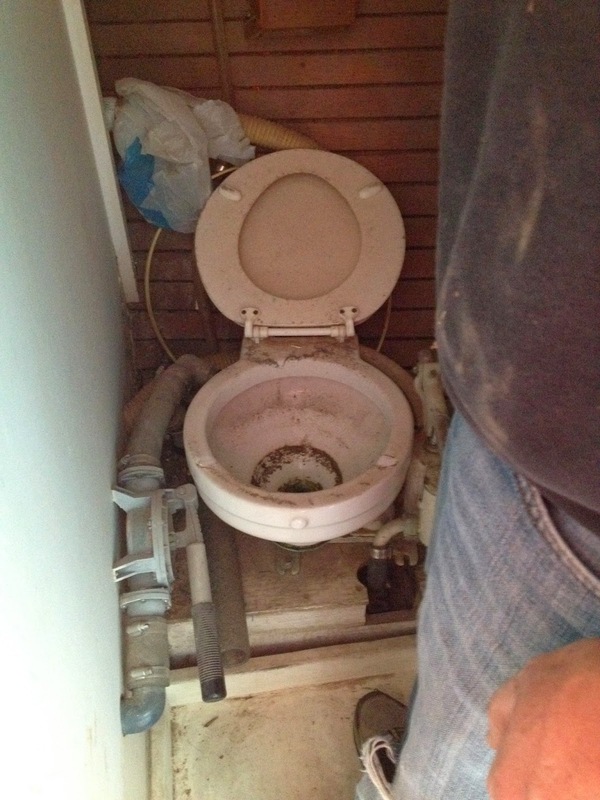 And with further investigation it became apparent that we would be working our way around the whole cabin, after all, no need to do the job half way. 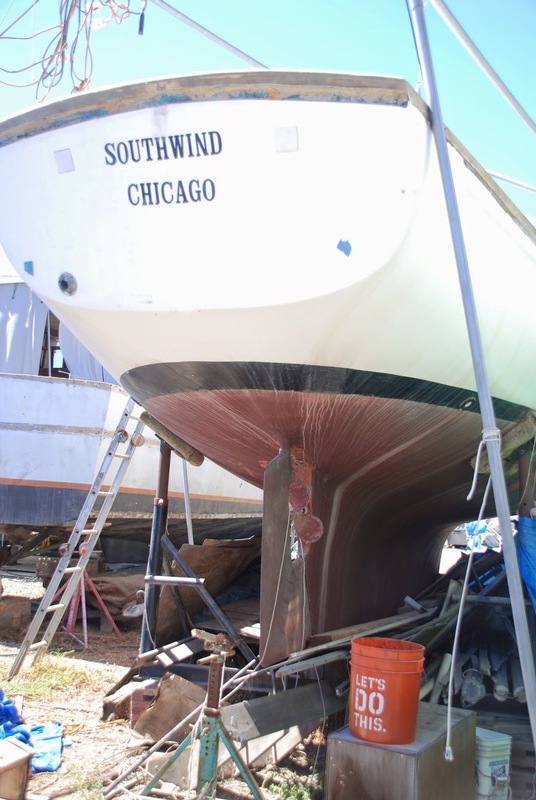 Southwind has been sitting for years and at some point all of her port lights were removed. This made for a dark cabin. We were planning to open her up a bit with some fresh port lights, not exactly this open...anyway I guess when we are done we will have sturdy sides and some nice new lights! At least the weather is on our side, the days are cooler and no rain in the forecast. We are also very fortunate that upon opening things up and inspecting the main structural beams we found that all is well structurally, I think that if we had uncovered rot in the structural beams it would have sealed Southwind's fate. It was a reality check weekend for us all. I think Tom spent about 30 minutes just trying to wrap his head around the large opening in the side of the cabin created with just his hand. I am usually the one picking out the positives and even I had my moments of doubt. 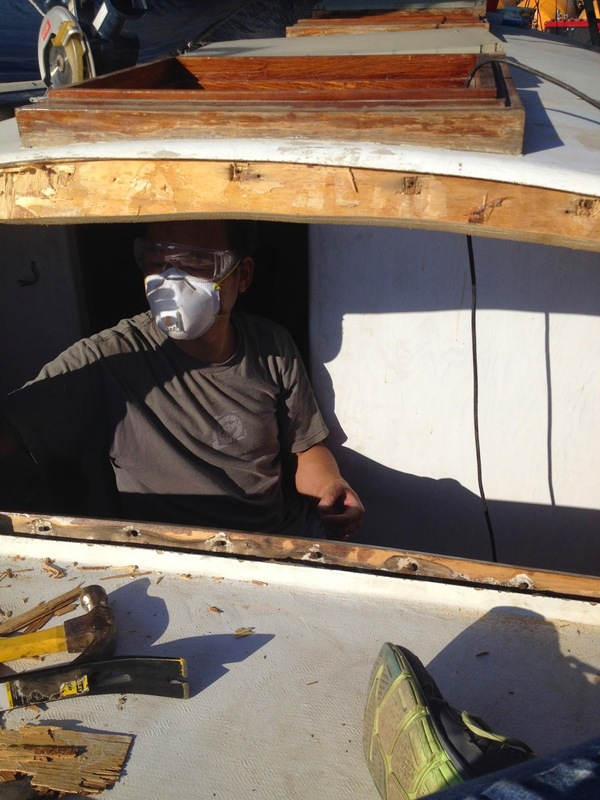 Eventually we pulled ourselves together and got to work removing all of the old wood from the cabin port side and forward, starboard side will be next. Each time we feel a bit overwhelmed we just take a moment to remember where we are headed. At least this hard work is for us! This is definitely a big project but we are all in! Southwind is a dream come true for us, a work in progress, a goal and the beginning of a new life! As we taped down the plastic to cover her bare bones at the end of our work day, I couldn't help but feel that as we tore her apart we somehow were bonding with her. We will take care of her and she will soon be taking care of us! Hello all! So, during our last work day at Southwind, we were able to find all of our sails that had been stowed in the v-berth for who knows how long. So we gathered them up and brought them home to give them a good rinse off and inspection. We got really lucky with these sails! They are in really great shape. The Jib has a small tear near the foot, and none of the sails have any battens (we are still confused about what happened to them...) but other than that, the sails are perfect! 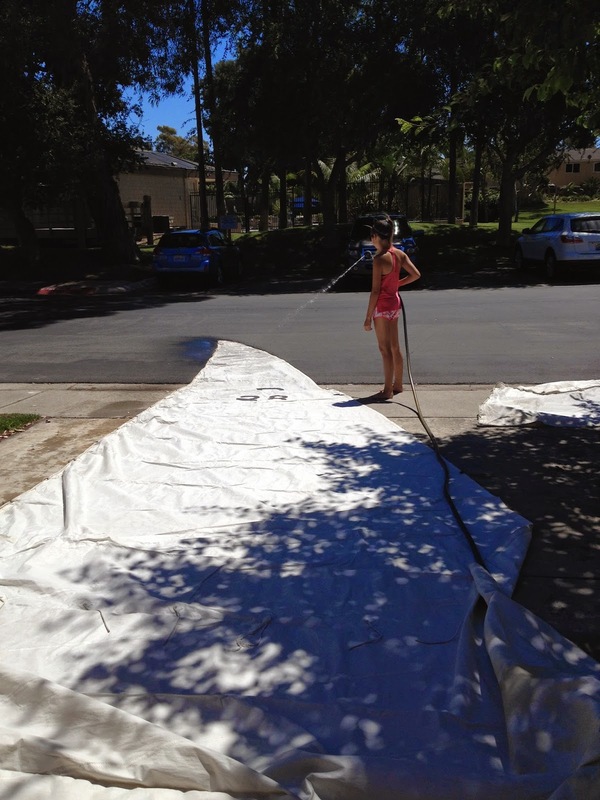 We were able to stretch them out across the driveway, and Emily hosed them down. The sails were definitely a lot bigger than we realized. The main sail stretched all the way into the street! The head of the main got a quick rinse before we folded it back so it would get run over by a careless car. 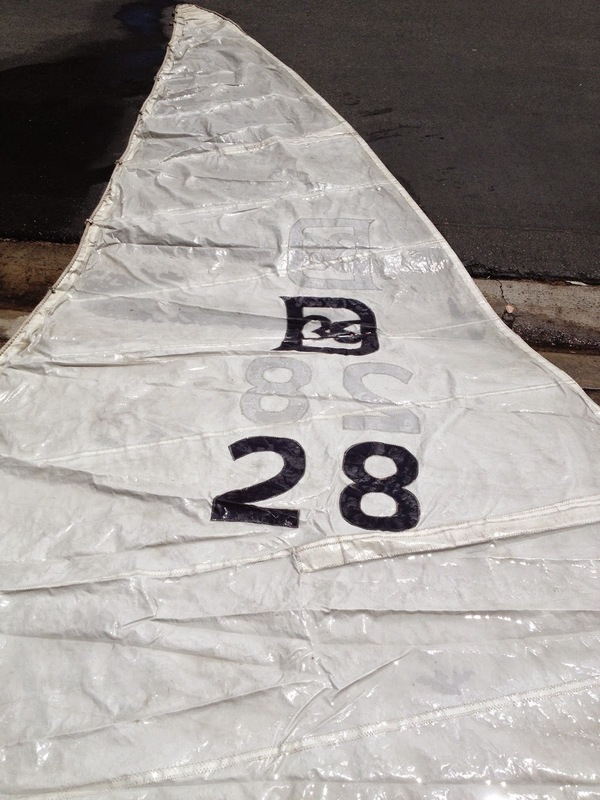 After rinsing each sail, we moved it to the sidewalk to drive before folding it back up. FYI, small neighborhoods are not very conducive to sail surveying. Our drive was not long enough, and I think we upset a few of the neighbors after we blocked the sidewalk for a couple hours. Oh well, what can you do? Ha ha! Overall, we are super excited about how great these sails are! They definitely could have been much worse, especially after being untouched for so long. We all can't wait until the masts and rigging are up and we can finally unfurl our gorgeous sails! Today was super exciting! It was Dad's first day sailing, and he absolutely loved it! Since Emily and I are the only "experienced" sailors in our family crew, we all thought it would be a good idea for Dad to get a quick and dirty intro to sailing. (Because having only one adult on board who knows how to sail just sounds like a bad idea in general) Luckily, the Yacht Club where I took my fabulous ASA 101 and 103 sailing courses offers up private lessons (for a nominal moderate fee, of course). So Dad, Emily and I (along with our Uncle Fred) headed to the marina to take our "First Mate Class." It was a great lesson, and I think everyone learned something valuable. Emily was our Helmsman (which she loved!) and did a fantastic job. Of course, Dad and Uncle Fred both learned some of the basics of sailing, like points of sail, trimming the sail, procedure for raising and lowering the sails, etc. (All good things, all good things!) No surprised, they caught on really quickly and did an awesome job! That was lucky for me, because I realized how hard it is to actually skipper a boat! Its one thing to be able to sail (or kind of know what you're doing), its a whole different ball game when you are the one having to tell your crew members what to do. Thank goodness for our superb instructor, Bill, who so kindly corrected me when I incorrectly told my crew to head up or forgot to tell them how to raise the main (you know, just little mistakes.....Ha Ha!) All in all, it was a great day! Dad is definitely 100% hooked on sailing and we all had a great time enjoying the beautiful afternoon breezes in Long Beach Harbor! One thing is for sure: we are going to be getting in a lot more practice sails before Southwind is launched in a few months ... and we are all super happy about that!! Look how excited we are! Uncle Fred got a picture of our picture! This is Southwind. She is a 1973 Dickerson 36 ft Ketch. Right now, she is in pretty rough shape. But in a few months you won't even recognize her. I know she doesn't look like much, but believe me, she's quite a treasure. All she really needs is a little bit of love and our family of seven has plenty of that to spread around! We don't really know much about boats, and only a couple members of our troop has any sailing experience, but we are always game for a good adventure! So, armed with our how to books (Don Casey is a total genius! 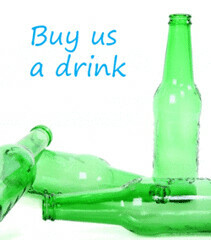 ), a few tools, and an open mind, we are diving into the project of a lifetime! Wish us luck!! The side view of our beautiful Southwind! We LOVED the caption on the bucket! "Let's Do This" is definitely our motto!